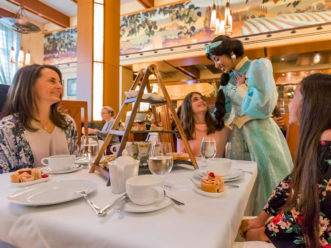 AHAHEIM, Calif. (April 9, 2019) – Welcoming spring, the Disneyland Resort is blooming with a variety of new adventures, events, experiences, Disney character interactions and seasonal values to make this the vacation the whole family will remember. 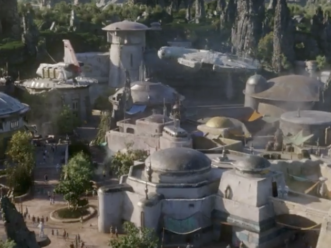 Here are a few reasons guests will want to visit the theme parks, hotels and the Downtown Disney District this spring – and beyond. 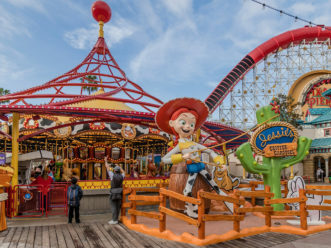 Jessie’s Critter Carousel – Now open in Disney California Adventure Park, Jessie’s Critter Carousel is a giant toy carousel starring Jessie, the yodeling cowgirl and a friendly bunch of desert critters inspired by the “Toy Story” films and the world of Woody’s Roundup. This newly reimagined attraction is the latest to join Pixar Pier, where the stories and characters of Disney•Pixar films are celebrated with exciting attractions, themed neighborhoods and fun eateries. Eggstravaganza – Spring marks the return of Eggstravaganza to the Disneyland Resort. This fun, egg-themed scavenger hunt will take place now through April 21 across Disneyland Park, Disney California Adventure and the Downtown Disney District. Guests may purchase a map for $6.99 + tax, search for special hidden “eggs” themed to Disney and Pixar characters and record their discoveries by placing the corresponding sticker on the themed Eggstravaganza map to represent that location. The map can be returned to a redemption location for a surprise. Fancy Nancy – Nancy Clancy, the high-spirited young girl from Disney Junior’s hit animated series “Fancy Nancy,” is making “une grande entrée” into Disney California Adventure this spring. In May, guests can meet Nancy just outside the “Disney Junior Dance Party!” in Hollywood Land. Get Your Ears On – Get Your Ears On – A Mickey and Minnie Celebration continues into spring. Honoring 90 years of magic with this beloved pair, guests will discover new and enhanced entertainment, including “Mickey’s Mix Magic” projection show and “Mickey’s Soundsational Parade”, plus limited-time décor, specialty foods and merchandise at Disneyland and Disney California Adventure. 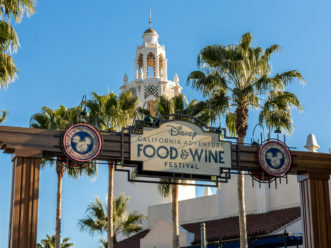 Disney California Adventure Food & Wine Festival – The popular Disney California Adventure Food & Wine Festivalruns through April 23 with flavors and fare inspired by the Golden State. 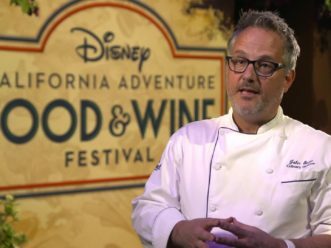 Guests of all ages will discover the beauty and celebrate the bounty of California with unforgettable cuisine, beverages and entertainment at this culinary festival in Disney California Adventure. With experiences happening daily during the limited-time event,* guests will always find something tasty to try and fun to do as they explore the uniquely Disney festival. Disney Channel Fan Fest – Disney Channel Fan Fest returns to the Disneyland Resort on Saturday, April 27 bringing today’s biggest young stars to Disney California Adventure park for a big fan party. 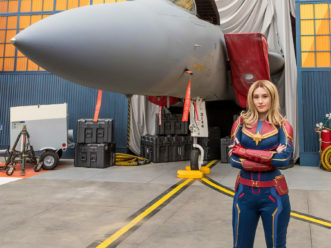 Guests visiting the park will have the opportunity see and hear from stars from films and shows like “Descendants 3,” “Zombies,” “Kim Possible,” “Andi Mack,” “Raven’s Home,” “Sydney to the Max,” “Coop & Cami Ask the World,” “BUNK’D,” “Bizaardvark” and the upcoming “Just Roll With It.” Fans will enjoy live, interactive main stage sessions, Q&A, musical performances, presentations by talent and creators from Disney Television Animation, sneak peeks from the highly anticipated Disney Channel Original Movie, “Descendants 3,” and meet-and-greets. Celebrity meet-and-greet experiences will be available for fans with wristband distribution at park opening on a first come, first served basis and while supplies last. 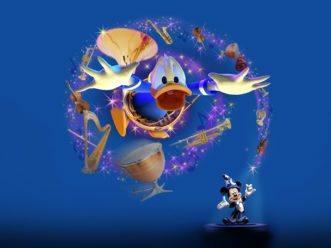 Mickey’s PhilharMagic – The spectacular magic of Disney animation and music will soon come to life in the 3D movie musical Mickey’s PhilharMagic at Disney California Adventure. Premiering in April at the Sunset Showcase Theater in Hollywood Land, Mickey Mouse, Donald Duck and other favorite Disney characters take the stage in this 3D fantasy adventure. *Hotel savings are based on the non-discounted price for the same room at the same hotel for most Sunday through Thursday nights, April 14, 2019 through May 23, 2019. Book through May 20, 2019; travel must be completed by May 24, 2019. Premium room types included in offer are Premium, Deluxe and Woods/Garden/Courtyard rooms; select Concierge rooms; and only Paradise, Artisan, Junior and Regal Suites. Not valid on previously booked rooms. Advance reservations required. Subject to availability as the number of rooms allocated for this offer is limited. Excludes applicable fees and taxes. Limit two (2) rooms per reservation and occupancy restrictions apply. Not valid in combination with any other hotel discounts or offers. Subject to restrictions and change without notice. Separate Theme Park admission required to enjoy the Parks. ***Disney Princess Breakfast Adventures experience and elements are subject to restrictions and change without notice. Specific characters are not guaranteed. Restaurant seating is subject to availability and reservations are recommended. ****Pop-Up Disney! 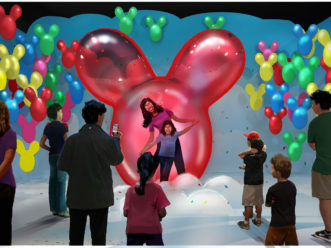 A Mickey Celebration exhibit elements and activities are subject to change or cancellation without notice. *****Disney MaxPass Guests are strongly advised to check the day’s FASTPASS availability and other Park details before purchasing Disney MaxPass or using a Park ticket with Disney MaxPass as FASTPASS selections for your preferred attractions or entertainment may not be available at the time of purchase or use. FASTPASS selections are limited and availability is not guaranteed. FASTPASS selections may be made only while you are in the Parks, and valid Park admission requiredto make FASTPASS selections in the applicable Park. The Disney MaxPass benefit will expire at the end of the day of use. Disney MaxPass is nonrefundable, nontransferable, may not be redeemed for cash and is subject to other restrictions. Price, terms, entitlements, attractions and entertainment are subject to change or cancellation without notice.